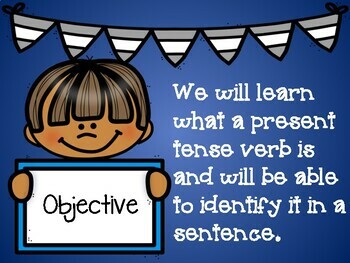 This powerpoint was created with the objective of learning how to identify the present tense verb in a sentence. 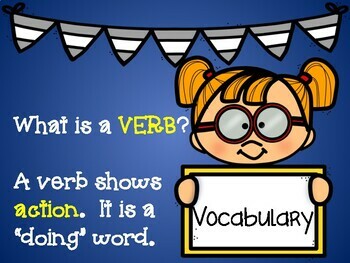 There is a review page that reviews what a verb is. 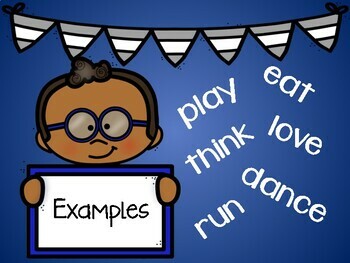 There are a lot of examples and a lot of practice with present tense verbs. This would be a great beginning lesson. 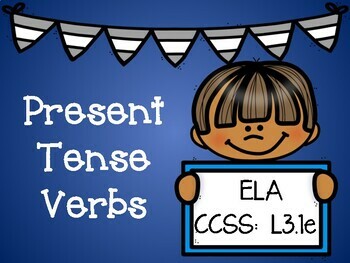 The powerpoint is written with an EDI format as well and would be great for 3rd, 4th, or 5th grade.